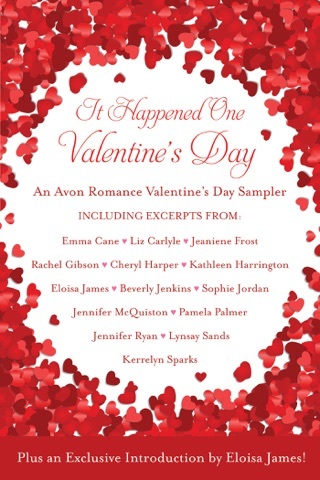 Jordan (How to Lose a Bride in One Night) tackles the discomfiting topic of step-sibling romance in this series launch. Rosalie Hughes was raised with Declan until his father kicked him out at age 14. Now he's the eighth Duke of Banbury, and Rosalie is the one who's been cast off (by her widowed mother). Declan reluctantly accepts responsibility for Rosalie, outfitting her with a wardrobe, dowry, and chaperons, but he intends to marry her off ASAP. Rosalie, of course, wants more than the first illustrious name who comes calling, and is willing to be outrageous to get her way. There's little feel for Regency period details or mores, and even less nuance Declan's stepmother is named Melisande, for those who need extra help identifying the villain. Even though it's not a keeper, the story has enough verve and sizzle for a reasonably entertaining afternoon at the beach. loved this book! 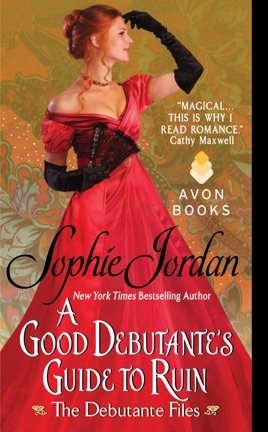 I've read other books by Sophie Jordan and have enjoyed them as well. Declan and Rosalie have known each other for years when his father married Rosalie's mother. When Declan was 15 his father sent him away and later Rosalie was sent away to boarding school. Ten years later Rosalie shows up on his door step and turns Declan's world upside down. 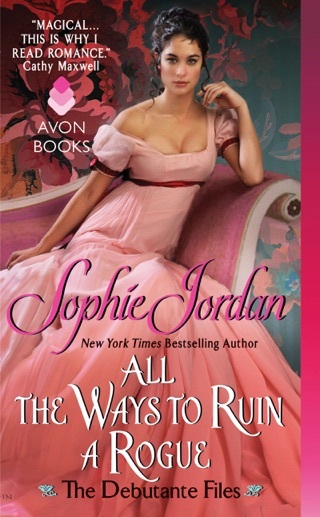 Ms. Jordan wrote a storyline that I've not read in a historical romance before and she did it quite well. It was heartbreaking to read. Well done Sophie Jordan. I can't wait to read the next book in the series.